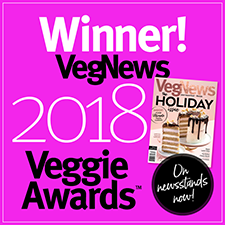 If you love tasty gummy candies that are packed with sweet flavor and zero artificial ingredients, then Jealous Sweets has the treats you've been looking for! 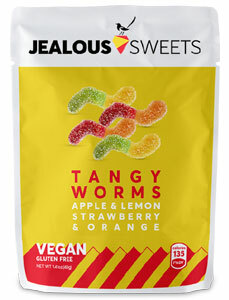 These deliciously chewy vegan gummy worms come in a flavor assortment of apple/lemon and strawberry/orange pairings to give you plenty of real fruit flavor in every bite. Gluten-free and only 135 calories per package! Imported from England. 1.4 oz. 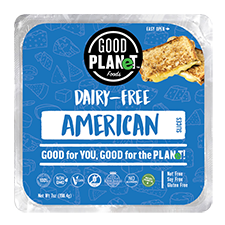 (40g) packages are $2.79 each.